Hello everybody! I haven't uploaded fom a while and now...here I am with a lot of new stuff!!!! Go with the first one!!!! 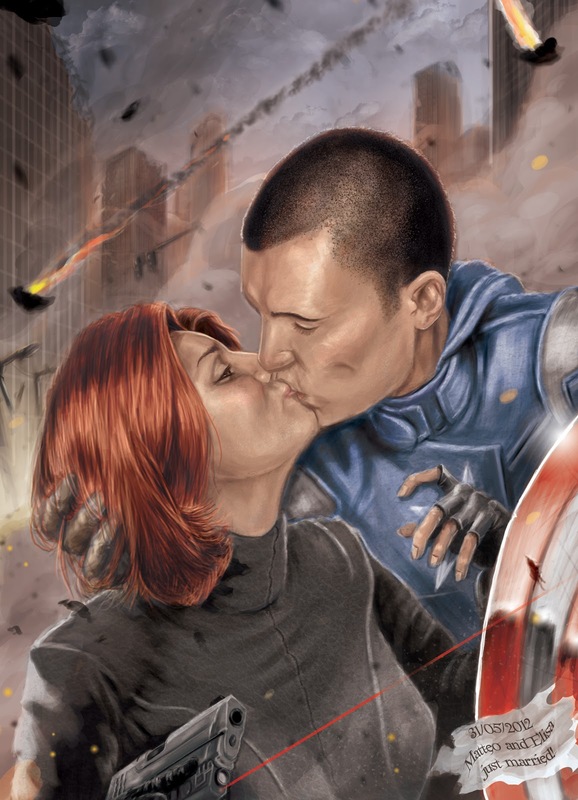 As you can see, it's an Avengers style portrait, where Elisa aka the Black Widow kisses Matteo aka Cap!! !